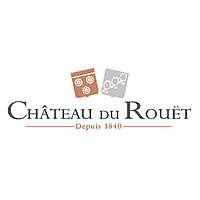 Chateau du Rouet – Luxury-focused. Estate-driven. World-renowned. The Esterel hills protect rural Provence from the ravages of coastal development that have afflicted the Cote d’Azur. At Chateau du Rouet, in a setting of outstanding natural beauty, the Savatier family make wines that capture all the joys of living in this paradise. Whites, reds and particularly rosés all manage to distill the essence of Provence – sun, fresh fruit, wild herbs – and, no matter where opened, transport the taster on an idyllic summer holiday. Ideal with salads and fresh Mediterranean cuisine. Please feel free to request marketing materials from agabriel@europvinusa.com.